"jo lakin's fascinating world of puppets"
He’s a puppet, but not one like you’ve ever seen before. Ten feet high and 14 foot long, he is a talking lion who even sings and dances.This is Aslan, one of a dozen fantastic puppets created for a new production of The Lion, The Witch and the Wardrobe by Meryvn Millar and Jo Lakin. 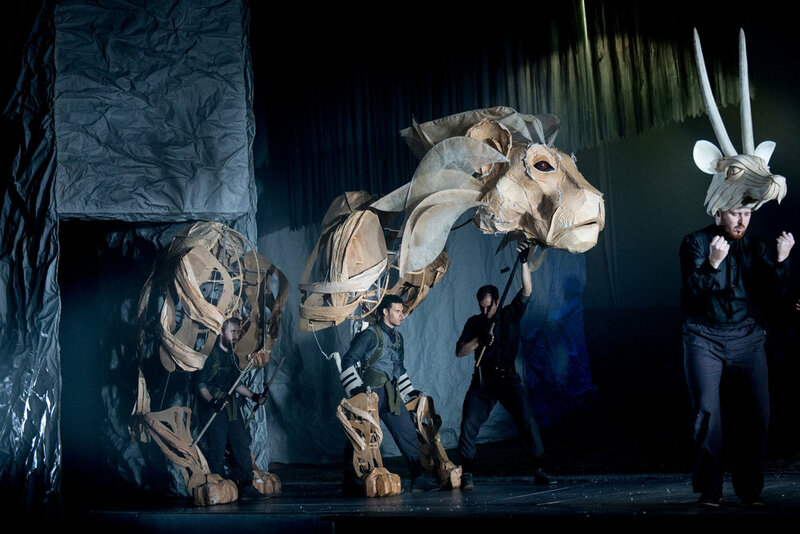 The beautifully-staged show at Birmingham Rep also boasts a stilt-walking giant that’s even taller than Aslan.